The monocultivation of sugar cane has been developed in El Salvador over several centuries. It is presumed that it was introduced to the territory at the time of colonisation, but it was in the 1960s that production increased by 43% and between 2001 and 2011 that it increased by yet another 30%. According to data from the Salvadoran Ecological Unit (UNES), national cultivation of sugar cane is currently around 108,427 manzanas (2014-2015 sugar harvest) and in the coastal zone cultivation reaches 52,000 manzanas. El Salvador is one of the countries which has increased its use of pesticides and intensified its use of fertilisers; which, according to CEPAL (United Nations Economic Commission for Latin America and the Caribbean), is far above the Latin American average and makes it one of the four nations of the region in which it occurs in consumption. However, this does not translate into a significant increase in productivity of crops like basic grains. According to Voices on the Border, the intensive use of agrotoxics is seen largely in the cultivation of sugar cane. Also in 2016, the Human Rights Defence Attorney (PDDH), David Ernesto Morales, produced a report on the use of agrotoxics and their impact on human rights. This report provided follow-up to the open record since 2000 on the impacts on health in the Bajo Lempa region, on the database of denunciations of serious health effects, especially cases of chronic kidney disease associated with contact with herbicides and pesticides used in the cultivation of cotton in previous decades. The extensive and abusive use of agrotoxics is having an impact on the health of the Salvadoran population, according to the network of hospitals which reported in its ‘Report of Works 2011-2012’ for MINSAL [Ministry of Health] that terminal chronic kidney disease is the third cause of death in adults of both sexes, being the first cause for men and the fifth for women. To date there are no actions being taken to prohibit the use of agrotoxics, despite the fact that many of them are prohibited in other countries and yet are sold without restriction here. The Commission requests from the Salvadoran government reports on the public policies and regulations relating to the environment and health and management of agrotoxics, the means of sustainable life, which guarantee the right to a clean environment and to health and which present specific indicators on each of these rights and on the inhabitants of the zones where monocultivation is practised. That the Commission carries out analyses and produces recommendations to the state of El Salvador relating to its compliance with its duty to protect life. The Commission distributes a report on the compliance by the Salvadoran state with the Inter-American standards relating to food sovereignty, the right to water, health and a clean environment. Upon the distribution of its report, the Commission requests of the state of El Salvador that it presents periodic reports with the aim of evaluating the advances in the achievement of the recommendations. Upon the distribution of its report, the Commission requests of the state of El Salvador that it promotes an end to the expansion of the agroindustry of monocultivation which assaults human rights and the means of life of indigenous peoples through clear public agrarian, economic and fiscal policies. Upon the distribution of its report, the Commission requests of the state of El Salvador that it investigates the denunciations made by community leaders against the assassinations, threats, industrial contamination, environmental contamination, deforestation, land grabs, contamination and diversions of rivers, and labour conflicts resulting from agroindustrial activities. Finally, we ask the Commission, through its Special Envoy on Economic, Social, Cultural and Environmental Rights, to visit the country to verify the situation so described and to generate a report relating to agrotoxics and monocultivation and their impacts on human rights. Voices on the Border, ‘Large scale production of sugar cane’, 2016, p.2. 1 manzana is equivalent to 1.75 acres. 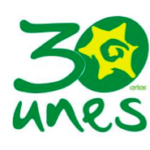 UNES, own calculations based on information from Data Collection from Sugar Cane Harvests in El Salvador, 2012-13 and 2014-15. Attorney for the Defence of Human Rights, Report of the Attorney General’s Office for the Defence of Human Rights on the Use of Agrotoxics in El Salvador and their Impact on Human Rights. PDDH, San Salvador, 21 July 2016, 82 pp. Ramón García Trabanino, Terminal Kidney Disease in the Rosales National Hospital. Probable association based on contact with herbicides and pesticides (June 2000), cited in Attorney for the Defence of Human Rights (2016), op.cit, p.4.